While at Underwater World Singapore, my friend Karla, her son Teddy and I also visited the shark aquarium, which housed sharks, sting rays, turtles, a dugong and an array of large fish. 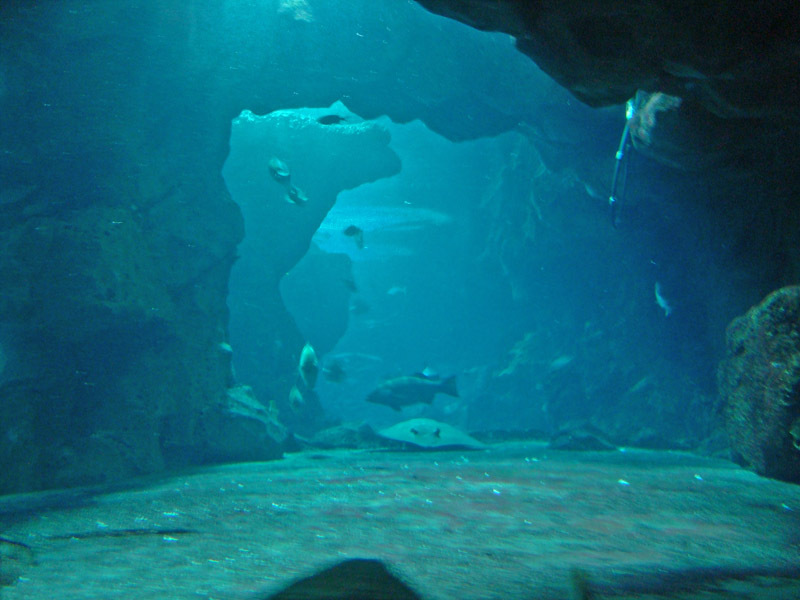 A long tunnel was built beneath the aquarium, so that as you walked through, the sea life was above and on either side of you. It also featured a moving walkway, so you could just stand in the aquarium and be slowly moved through it. 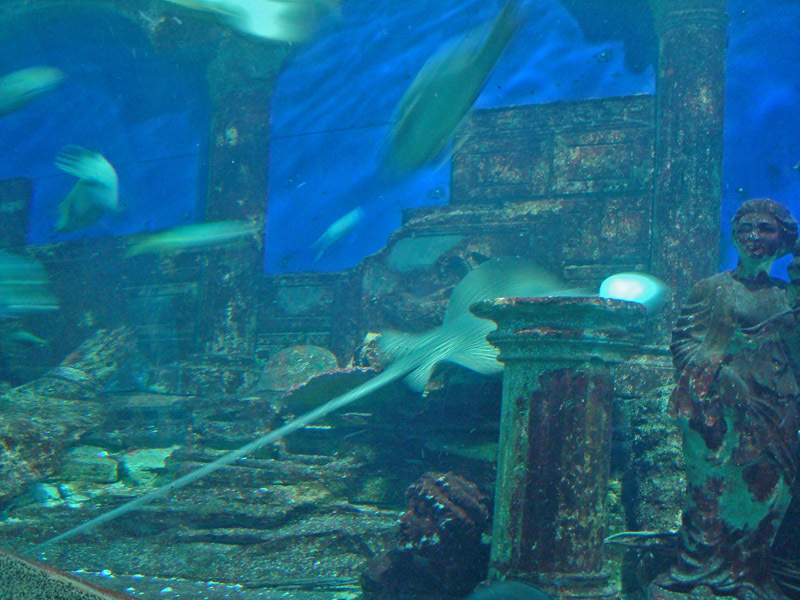 When we visited, a diver from Underwater World was swimming in the tanks, cleaning them. (See the photo above—I would not want to be the diver assigned to do that, as he or she also has to clean around the sharks!) Just after the cleaning, the diver caused a frenzy of activity among the marine life as he fed them. You can see a little bit of that in the video I took below. I took these photos and filmed this movie at Underwater World Singapore on Sentosa Island in Singapore in February 2010. 31 Mar This entry was written by Kathy Keating, posted on March 31, 2010 at 10:04 am, filed under Animals, Asia and tagged Animals, kathy keating, sentosa island, singapore, water. Bookmark the permalink. Follow any comments here with the RSS feed for this post. Both comments and trackbacks are currently closed.